Microsoft may be officially putting Windows XP out to pasture next spring, but Google Chrome will keep chugging along with security fixes and updates on the operating system for a full year after. The Google Chrome Blog announced today that Windows XP users won't completely be abandoned come April 8, 2014, the date when Microsoft will officially retire the desktop operating system after more than a decade. That's because Google has pledged to continue offering support for its Chrome web browser on Windows XP with "regular updates and security patches until at least April 2015." "Like all technologies that come to their end-of-life, the XP operating system and most of its desktop applications will no longer receive updates and security patches," explained Google Chrome Director of Engineering and Superintendent of Public Safety Mark Larson. 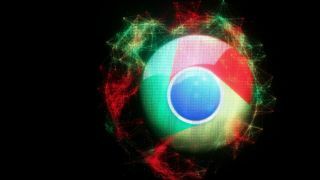 Larson says the move was made to protect Chrome users from "unpatched browser bugs [which] are often used by malware to infect computers." With hundreds of millions of users still using Windows XP, Google hopes the stay of execution will help users and organizations migrate to more current versions of Microsoft's operating system. Google plans to automatically update Chrome on Windows XP with the latest security fixes the same way it does with Windows 8 and other platforms in an effort to reduce malware and phishing attacks. IT administrators are also encouraged to use Legacy Browser Support, which makes Chrome the default option for web applications that might otherwise depend upon unsupported legacy browsers. Check out our extensive review of Apple's new iOS 7!